Sadhguru explains the significance of Uttarayana, which begins with the Winter Solstice and is traditionally seen as an auspicious time of the year. Sadhguru: We are now at the threshold of Uttarayan, which is a period of harvest. The Sun’s run in relation to planet Earth will shift from the southern run to the northern run – from Dakshinayana to Uttarayan. It is not that the sun is moving anywhere. What is happening in terms of celestial arrangement is that on the winter solstice on December 21, the sun was over the Tropic of Capricorn. From that day, if you watch the sunrise and the movement of the sun, slowly, every day it will shift to the north. People who have been spiritually aware have always identified this transition as a possibility for human consciousness to blossom. Particularly, the first half of Uttarayan until the equinox in March is a period where the maximum amount of grace is available. The human system is more receptive to grace at that time than any other. History clearly indicates that the maximum number of people have attained in this phase of the sun in the Northern Hemisphere. 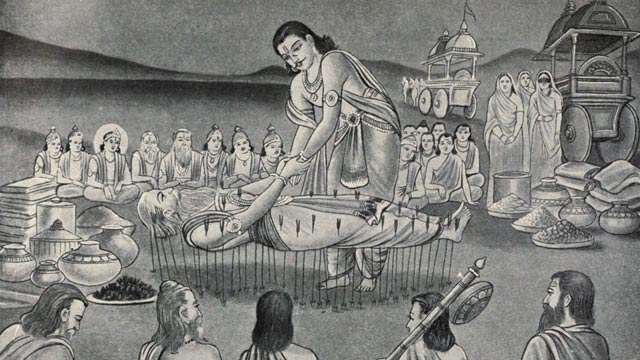 One of the most famous stories is of Bhishma waiting on his deathbed of arrows for many weeks. Though he was severely injured, he held onto his life until Uttarayan came because he wanted to make use of this transition in nature, to make his own transition possible. Gautama also attained on the third full moon day after Uttarayan. And in South India, there are examples of innumerable saints, sages, siddhas and yogis who have made the transition during this period. During the southern run, what is below the anahata can be purified very easily. During the northern run, what is above the anahata can be worked much more easily. That is why in terms of sadhana, Dakshinayana is for purification. Uttarayan is for enlightenment. This is the period of receptivity, of grace and enlightenment, of attainment of the ultimate. This is the time to harvest, and it is also the reason agricultural harvests begin during this period. Pongal is the harvest festival. So it is not only the time of harvesting food grains, but also the time to harvest human potential. In terms of sadhana, Dakshinayana is for purification. Uttarayan is for enlightenment. At the beginning of Uttarayan, we have set up a certain opportunity for people to become more consciously receptive to grace. There will be 21 days of sadhana for ladies, which will start at the beginning of January up until what is called “Dhanya Pournami” or “Thaipusam” in Tamil Nadu. This sadhana will be given out to people wherever they may be. We also give a 42-day sadhana for men which will begin on Thaipusam and last until Mahashivarathri. The human body, if brought to a certain level of intensity and sensitivity, is a cosmos by itself. Everything that happens in the external sphere, in a subtle way, manifests in the body. It is happening to everyone, it is just that most people do not notice this. But a more organized and purposeful rearrangement of the human mechanism could be done if one becomes conscious of the external movement and aligns that with the movement that is happening within the human system. If you want this body of flesh and bone to imbibe the nature of the cosmic body, understanding and being in tune with this movement of Uttarayan and Dakshinayana is very essential.